The chief minister met a delegation of farmers led by Kodihalli Chandrashekar at the Suvarna Vidhana Soudha. Karnataka Chief Minister HD Kumaraswamy on Monday requested the farming community not to lose morale. He asserted that his coalition government was committed towards protecting their interest. 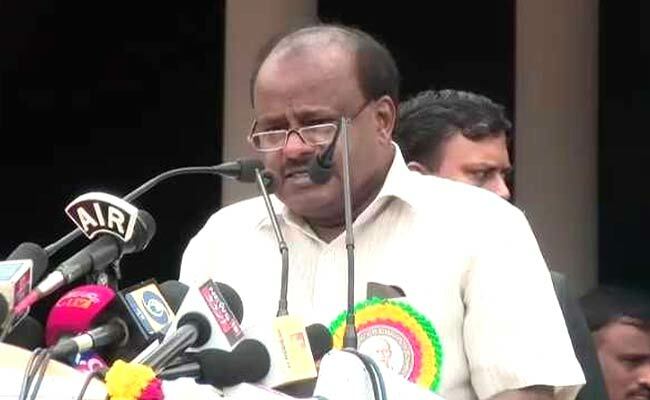 "Kumaraswamy has once again appealed to farmers that his government was committed to solving all the issues concerning them, and they should not lose morale for any reason," the chief minister's office said in a statement. The chief minister, who met a delegation of farmers led by Kodihalli Chandrashekar at the Suvarna Vidhana Soudha, said, his government was making honest efforts to get sugarcane farmers' their dues from sugar factories. Sugarcane farmers in Belgavi have threatened to intensify their protest again demanding clearance of their pending arrears by sugar factories for the cane supplied and announcement of purchase price for sugarcane for the current season as had been done in neighboring Maharashtra. Cane farmers had withdrawn their protest last month following assurances from the government to resolve their issues. They have now resumed it during the session, alleging that the government had not kept its word. Farm produce can be stored for longer duration using "vacuum packing", the Chief Minister, who examined vacuum packs, said. Farmers need not worry about fall in prices from this, he said. Meanwhile, a committee headed by Manoj Rajan, additional secretary (market reforms), cooperative department, formed to study 'Israel model agriculture', has submitted its report to the Chief Minister. In the state budget, Mr Kumaraswamy earmarked Rs 150 crore in the first phase for replicating the Israeli model of irrigation facility on 5,000 hectares of dry land in each of the parched districts of Kolar, Chitradurga, Koppal, and Gadag."